Back on May 22nd, 2010, a programmer named Laszlo Hanyecz paid 10,000 BTC for two pizzas: the very first real-world transaction made with cryptocurrency. At the time, this technology was just over a year old. May 22nd is now known as Bitcoin Pizza Day — and Toptalers from Mérida will gather to celebrate with a discussion of current blockchain tech. 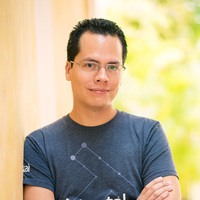 The gathering will be a good opportunity to enjoy the company of colleagues — including Greco Rubio, a Toptal developer and Community Leader for Mérida. All are welcome: feel free to bring guests. Please RSVP on this page to give us an accurate head count. For more information on the event, please contact the event organizer. Your message to Greco was sent.